As a fairly recent newbie to this whole fandom experience. I've been thinking about what to expect in the coming months, I didn't know where to post this question so starting a new thread. Mods please move if you think there is a more appropriate thread. Can any of the members who were shipping Reylo from the beginning in TFA tell us newbies from TLJ what to look out for over the next 23 months please. Not just Reylo but all content regarding IX. Is there some sort of time line to expect things? For example I know we have the novels coming out at the beginning of March, that will give us good fodder to talk about. Then the Dvd, so we can all rewatch and analyse bits we may have missed. But then what can we expect? Will that have to do, to keep us going until next year? When did leaks and posters, merchandising start showing themselves. What key highlights happened while you waited from viewing TFA to finally seeing TLJ. I know there will be lean times, but do we get nuggets dropped every so often to help keep that 'spark of hope' alive while patiently waiting for ep IX. I'm really interested in your experiences journey of waiting from one film to the next was. What do we have to look forward to? I'm somewhat new too, but posters didn't come for TLJ until April, merch leaks in summer, with the actual merch around September 1. I was not here for the spoilers while filming, but there won't be spoilers until production starts, which in this case is the later half of this year. They are being more open about Reylo now, so we might or might not get commentary via interview, Twitter, etc. on the subject as we have been recently, but probably by Rian regarding TLJ, not IX. JJ barely talks about TFA, and he has been very silent while he has been busy working on IX, plus he doesn't have social media. He is Mr. Mystery Box. So maybe set expectations low. Will the cast and JJ do Comic Con in 2019? I know where talked about it in another thread a few weeks ago but I can't remember where. And I'm trying to remember which leakers did seem to have more reliable leaks. Bothan Spy and GangstaRapGuy I think? - Novelisation in March (Both Adult and Junior). This should give us a lot to chew on and delve into. Especially because deleted scenes and just getting to know characters thoughts during certain scenes. Rian contributed to the novel (unlike JJ he seems more heavily involved with every aspect surrounding TLJ). - Blu-ray in March with Rian's commentary. We'll be able to watch/rewind/analyse everything in HD. Rians commentary is going to be pretty important. Going off TFA, JJ did his commentary pretty late (released in November 2016), but it was a huge deal for Reylos as it was basically a heap of validation and confirmation that everything we had been saying for a year had been correct and that the story was heading in that same direction. Also, bloopers and deleted scenes. We'll be getting behind the scenes too of course. - Filming begins in June so that's when leaks/rumours will start to arrive. Although we might not get much this time. MakingStarWars (a website that leaked the entire plot of TFA a year beforehand), wasn't so lucky with TLJ. They were mostly relegated to scoops from their sources in marketing. We still got a few details though. BothanSpy (a user on Reddit), also supplied a few details (Luke blowing up the hut w/ Rey and Kylo, Finn vs Phasma, details about Crait). He stopped posting though. Honestly, we were able to deduce major details from set photos and arrivals. There were leaked photos of John Boyega and Kelly Marie Tran on a Fathier in Dubrovnik and paparazzi captured pics of Mark, Daisy, Adam and Rian arriving in Ireland. - TFA and TLJ had their titles revealed in Nov 2014 and Jan 2017 respectively. IX will probably be end of this year/beginning of next. - This is just a guess, but either another trailer or a BTS reel at Comic-Con (July 2019). - Force Friday is in September where the new merchandise for the movie is released. - October 2019: final trailer. Will most likely debut with Monday Night Football as was the case with TFA and TLJ. TFA was Oct 19 2015 and TLJ was Oct 9 2017 which should give you some idea of when to expect it. Tickets also go on sale the same night. This is where the marketing kicks up a gear for the final stretch. Expect a ton of tv spots and a couple of international trailers. - Late November/December 2019. Press tour begins. Cast will be on various talk shows, at a few press conferences and do one-on-one press junket interviews. Then finally at the world premiere and various other premieres. I think that summarises mostly everything. This doesn't include whatever new info we get from story group members on twitter. And honestly with his podcast interviews and tweets etc. Rian has already given us more than JJ ever has and that's before the blu ray/novelisation has even been released. If you go back into the archives, there's probably the time period from the home video release in April 2016 and then the loooooong months afterwards where we were re-watching the PT, OT, influence movies, and basically lamenting how we just wanted to read the next chapter in the story instead of having to wait another 2 years. Which at least give LF credit this time around being on a 2 year release schedule versus back in the OT years, where it was 3 years between chapters, especially to find out if Han was going to survive what happened to him. Fingers crossed we don't have another Vanity Fair interview #romancegate crisis again. That was a rough day. We definitely went through 40 pages of 1 thread and nearly 40 pages of a 2nd thread in just 2 days back in May. @SheLitAFire I'll say it on an infinite loop, but Vanity Fair's 'coverage' I< OT era Rolling Stone coverage. It's basically a PR release that doesn't do anything other than show the costumes and locations without revealing anything and the players repeat talking points that have been cleared by Legal. 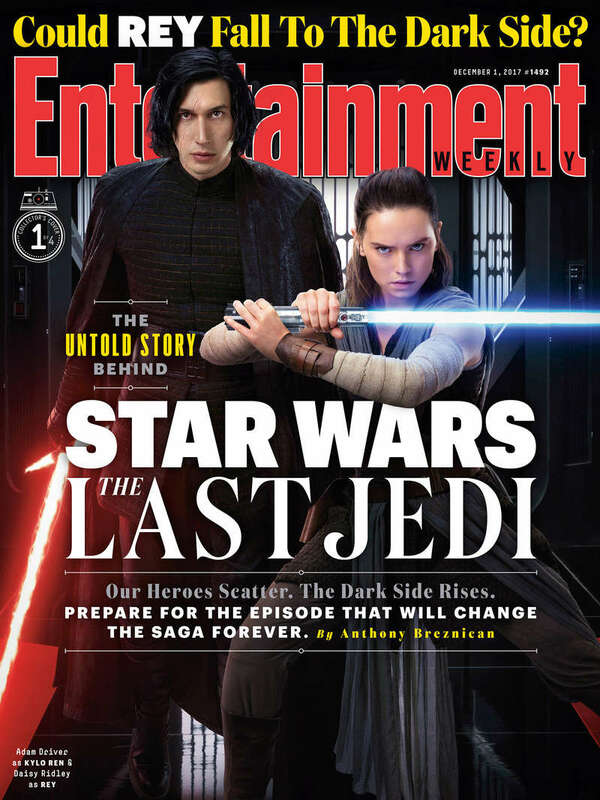 Same goes for Entertainment Weekly (o hai Breznican, who is a nice guy but who spent 2.5 years pushing his own wish list for Rey Kenobi as supposed insider knowledge) and most other press coverage. Also other than the New York Times, none of them have even looked at how LF is changing its corporate culture for women to get more opportunities to work in the film industry/technical positions and how that is part of the stories they're telling (KK had a quote for the Times Up interview about the role as content makers in the types of stories she want to tell) in the ST and other related Star Wars projects. @SheLitAFire wrote: Fingers crossed we don't have another Vanity Fair interview #romancegate crisis again. That was a rough day. We definitely went through 40 pages of 1 thread and nearly 40 pages of a 2nd thread in just 2 days back in May. And it was all for nothing, though we had no way of knowing that of course. Oh we probably will. Except it's going to be "is Kylo going to die" gates and every piece of information is going to have people worrying that he will or won't. I also think they're going to push and advertise Kylo as big bad Supreme Leader which will spark a few fandom meltdowns, I expect. 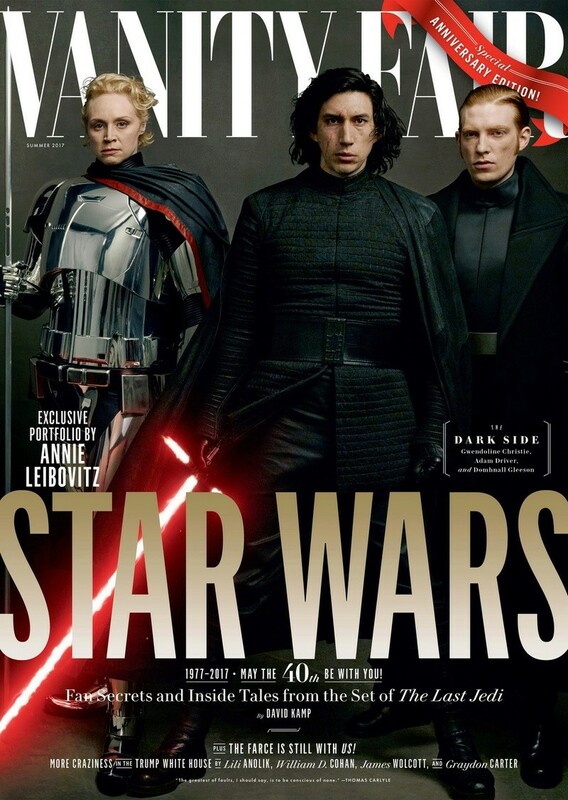 I agree, I’m bracing myself for marketing featuring seemingly full evil and unconflicted Supreme Leader Ren, perhaps surrounded by his band of Knights. 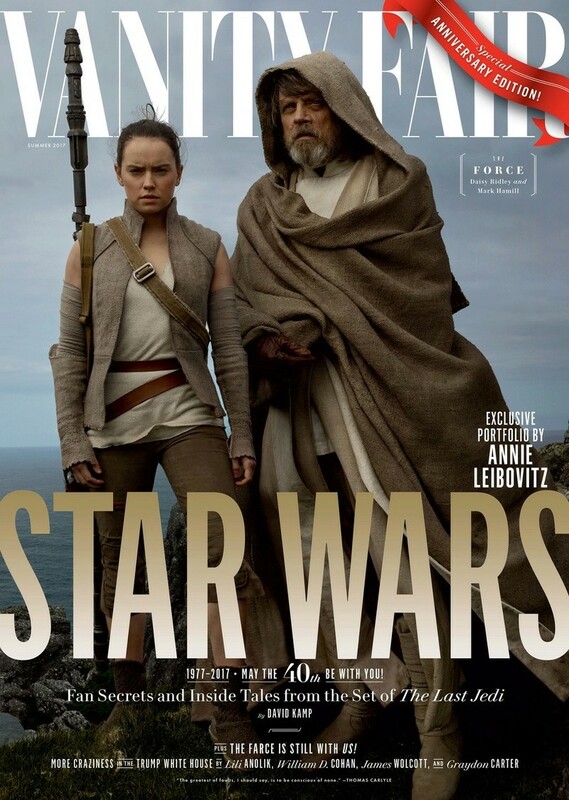 I also expect him and Rey to be marketed as adversaries. I actually think that’s good in a way because Episode IX may initially begin with Kylo appearing unconflicted or angry with Rey and Rey seemingly unaffected, but the veneer will come off in Episode IX when things become messy and complicated due to their dynamic and feelings. 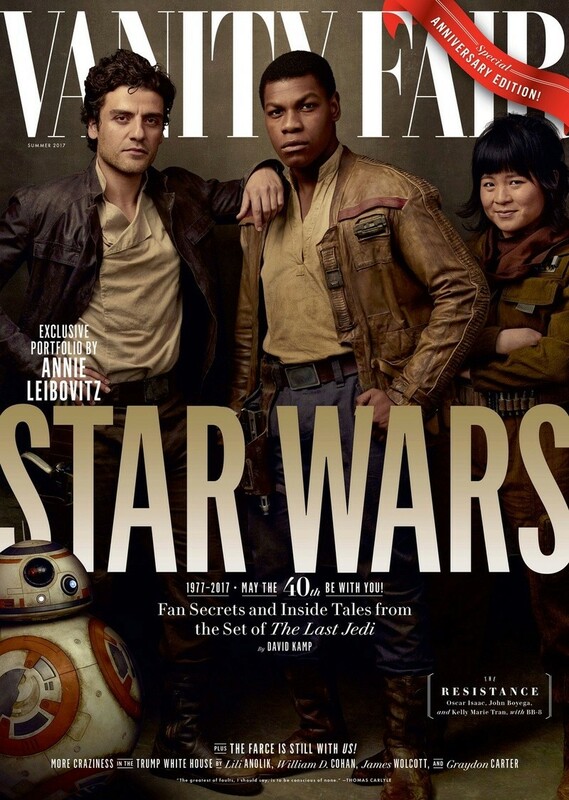 There’s literally nothing else near as interesting to focus on for Episode IX. Thanks for creating this wonderful thread <3 And also for all the info shared here. I'm really impatient to read the novel.....I don't know what to expect though, I mean, with all the subtle info we got (except from Mark's video-interview and Rian's "romantic drama" mentions). I'm both excited and worried about that novel and its revelations toward the characters' mindsets. It could go completely our direction or not so much. I have this distinct gut feeling that the description of Kylo's proposal is going to upset Reylo fans. Same here....I hope we'll find good stuff there, but I decided not expecting too much ("the feels" can be treacherous). It's good to get an idea of what to expect. So it seems that after the dvd, and the extras on it. That's got to keep us going for many months. If they are shooting in June, then I guess we will be getting snippets of who is definitely on the cast list. I noticed in another thread Lupita Nyong'o still doesn't know if she'll return. I suppose at this juncture, there wouldn't be any more key characters unless they are the KOR. @SheLitAFire what was 'romancegate' all about that got everyone in a tizzy? I've looked in the archives, but I can't find it. It has been interesting reading some past posts as to the thoughts and feelings you longer time members had, I hope we keep up the same enthusiasm you guys all had back then. I'm interested too once the promotion starts next year for IX, if there is going to be much misdirection. I watched on YouTube people's first reactions to the second trailer dropping of TLJ, it got quite addictive watching. It got to the point, I could predict what the most combat reactions would be. What was interesting going back to the misdirection idea, was the idea Kylo was going to shoot his mother, and that Rey was going to the dark side. They played on the misdirected of Rey turning. So it will be interesting what the misdirected will be for IX. So it will be interesting what the misdirected will be for IX. not to be a smarta** but I don't think there is actually misdirection only misinterpretation. I'd never heard of reaction videos before, obviously I lead a sheltered life, but I was ill in bed, came across them and they did cheer me up. Some of the geeky boy reactions were the best. @Kylo Rey Amazing breakdown. if you can just update the Final trailer entry (October) with that it debuts with Monday Night Football and that tickets go on sale on the same night. I don't recall exactly which MNF it was, Oct 22 I think? LOL yes it seemed all pretty clear to me too, but I remember all the shocked comments back then and I found them hilarious. "Oh no, Rey will turn to the dark side!!! Oh no, Kylo will definitely shoot his mother, you can see the evil expression on his face..." WTF???!!! Have we seen the same trailer?! I think we guessed pretty much everything about the trailer right- the only thing that got us confused was the shot of Kylo walking into that cave/entrance on Crait with his Snowtroopers. That got us confused... but the trailer didn't reveal anything from the twist. Like Kylo killing Snoke or becoming Renperor. 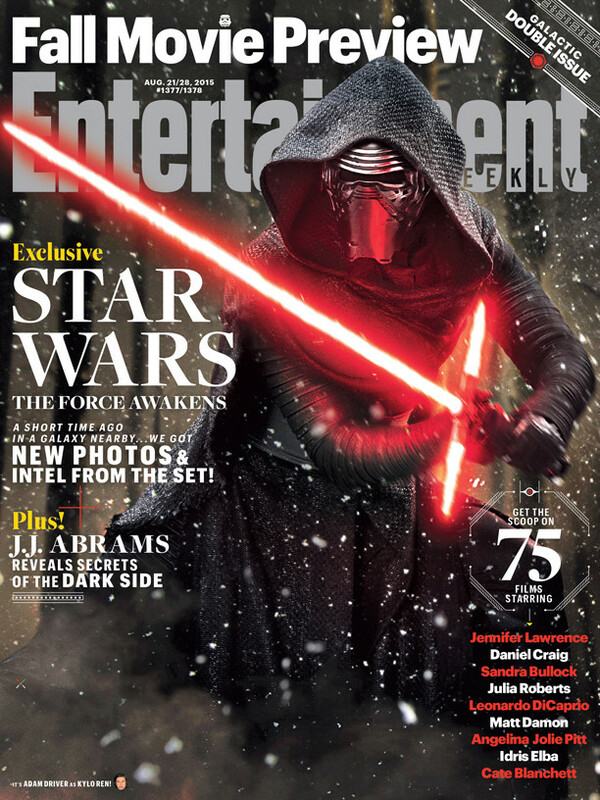 So I personally got some things right, but I thought Kylo would be father down his road to redemption. My head canon after the trailer was that Kylo/Ben will attack Snoke at some point and he will team up with Rey to fight the PG. But I never thought he would actually succeed in killing Snoke and taking over the FO AND attacking the Resistance after he fought together with Rey. @vaderito wrote: @Kylo Rey Amazing breakdown. if you can just update the Final trailer entry (October) with that it debuts with Monday Night Football and that tickets go on sale on the same night. I don't recall exactly which MNF it was, Oct 22 I think? Thinking about it, most reactions I watched were either of a superfan boy type or of the GA, in fact there was only one positive reaction to Kylo holding his hand out to Rey, and they uttered Reylo. 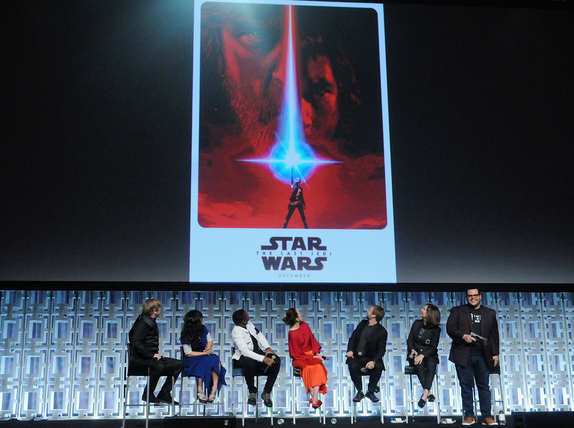 Looking back at some of the past posts on here I'd say the discussions were articulate and in depth, therefore members here would be more aware of the trailer than other audience members. I know that some of my friends and family thought Rey was going to go to the dark side...lol. Yes I saw something about the bingo cards, I thought what a good idea and a lot of fun. Thanks! Yeah, it's better to nail down dates. I wonder whether the fact that the Solo film's debut in May rather than December will make an impact on the promotion for IX timeline, because there will be a period of time of a few months where Star Wars as a franchise might go completely quiet from the main media (unlike the gap between TFA and TLJ having Rogue One slotted right in the middle). 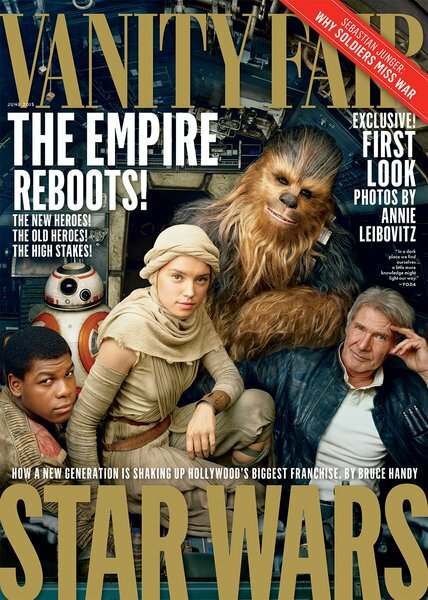 Perhaps that's to build the hype up to IX, since that's partially what made TFA so successful - that longing.